Many of the world’s most successful people met with groups of like-minded people on a regular basis to overcome challenges and achieve their goals. Known as Mastermind Groups, these communities have been instrumental in helping some of the world’s most successful people achieve greatness: Bill Gates, Henry Ford, Theodore Roosevelt, Thomas Edison, Dale Carnegie, CS Lewis, and JRR Tolkien were all members of mastermind groups. Now picture how great it would be if there was place where internal communicators could confidentially learn and support each other! It would be a place where you could get feedback and help, new and fresh ideas, and it would be a place to share your biggest challenges and dreams. The Internal Communications Mastermind group is designed to achieve all of this and more. The Internal Communication Mastermind Group is a community that will boost your career while helping you navigate your biggest challenges. We’ll work together to get ahead of your workload and demonstrate your value at the highest levels of the organization. Together we will achieve more and elevate our internal communications game. Being an internal communications specialist is often a lonely job. 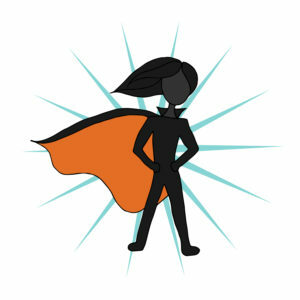 We’ve said that internal communications specialists are the unsung heroes of organizations and that’s no exaggeration! This group is for people who want to stay at the cutting edge of their field, improve their skills and knowledge, get ahead of their workload, grow their career and be a strong contributor to the success of their organization. I’ve created this group so that it provides tons of value. I’ve met many internal communications specialists that work alone and don’t have the benefit of collaborating with others. In fact, it’s something I have experienced myself and have seen with many of my clients. This group is designed to provide value by helping you connect with likeminded peers and boosting your skills, knowledge and expertise. Every month we collaborate to solve your biggest problems, saving you time, effort and providing you with the very best solutions.